July 11, 2018: A day after private engineering colleges agreed for an 8% fee hike permitted by the fee regulatory committee, the Karnataka Examinations Authority (KEA) on Tuesday released the seat matrix for engineering, architecture and agricultural science science courses. According to the seat matrix on the KEA website, as many as 55,126 engineering seats of various courses, 2,847 seats in agriculture science, and 884 seats in architecture were made available for the first round of counselling.Unlike the previous year, this year, the government has reduced 667 seats. In 2017-18, KEA had announced 55,883 seats. 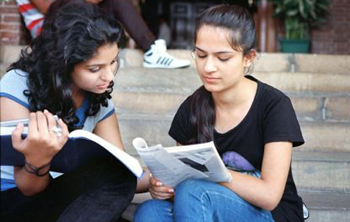 In fact, soon after the completion of the admission process, several colleges reported a large number of vacant seats. KEA officials opined that this year as well, a similar number of engineering seats are expected to go vacant. “The demand for engineering seats is dropping every year since degree courses have been launched in many colleges across the state. This has led to a drop in the demand for a few courses. For example, the start of the Bachelor of Computer Applications (BCA) has led to the closure of Info Science in many colleges, which was considered as the second option for Computer Science (CS),” a senior official of KEA told DH.However, the KEA website does not have any facility for students to update the option entry for the released seat matrix. The optional entry for medical and dental courses closed on Tuesday evening.